What better way is there to wrap up winter and welcome spring, than a weekend away to Margaret River. The perfect place where you can have breakfast with a view, lunch with friends or dinner under the stars. The view is spectacular and the perfect cuisine to match it, tops it off. 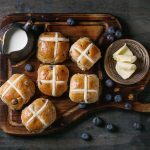 With a wide range of dairy, traditional baked goods, artisan cheeses, heirloom tomatoes and great coffee, breakfast in Margaret River is a meal fit for the king. 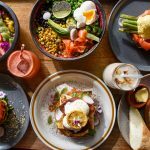 Whether you like your breakfast with an ocean view, surrounded by forest or while people watching from the energetic streets of Margs (the local’s name for the town of Margaret River), you’ll be spoilt for choice. If you prefer a quieter breakfast, we suggest you make a stop at Lamonts Smith Beach, located on the spectacular Smith Beach Road, Yallingup. If you’re a late riser or you want to catch the waves and visit the caves first, Lamonts has you covered with a fantastic all-day brunch menu. If you’re out and about in the Margaret River region at midday, you cannot walk past without trying the marron. Marron is the largest freshwater crayfish in Western Australia and the third largest freshwater crayfish in the world. It’s the local fishing delicacy and heavily regulated, there’s no better place to try it than fresh right where it’s caught. 7-course discover menu with or without the wine pairing. The voyager estate’s food takes you on a journey of food discovery that showcases the best part of the estates brought to your table. Another lunchtime favourite is Watershed Premium Wines, home to some of the most breathtaking views you can imagine. The restaurant sits right in the heart of the vineyard and overlooks the picturesque vineyard dam. If you’re looking for the perfect place to get warm and cosy with an open fireplace the Cullen Restaurant and Cellar Door is housed in the historic granite stone and timber building on the Cullen Estate on Caves Road, Wilyabrup. Now that we have brekkie and lunch covered, we need to make sure you’re visiting the right places for dinner before leaving Margs. 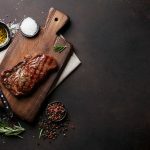 There are some incredible chefs making a name for themselves in the region and the temptation of different cuisines is incredible along the main street. 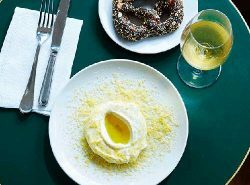 However, travel further afield and there’s a plethora of world class wineries and boutique breweries serving up their fair share of great food too. 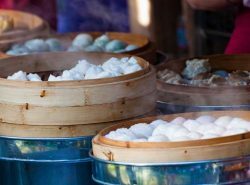 Eat, drink and enjoy wherever you go, but be sure to choose places that highlight the local produce. 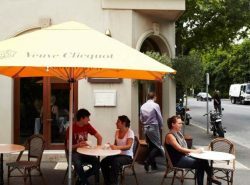 Miki’s Open Kitchen does just that and is an experience the region’s best wine makers and food lovers rave about. Enjoy one of Miki’s 6-course degustation menus with optional wine or sake and watch the ponytailed, surfing Japanese chef and his team at work from the amazing open kitchen. 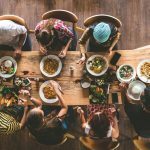 Buy the best gourmet food gift cards in Australia and create unforgettable food discovery experiences. 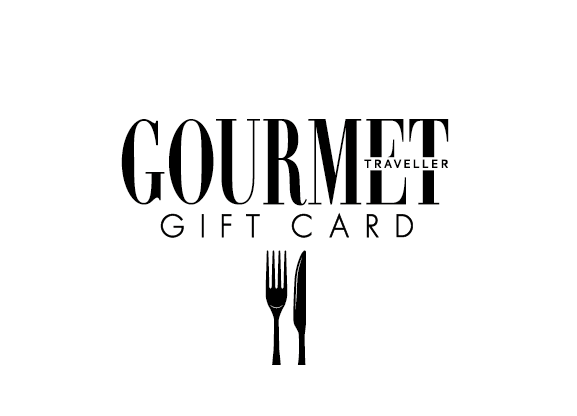 Get your Gourmet Traveller Gift Card online now and use it at one of our participating restaurants on your next adventure.